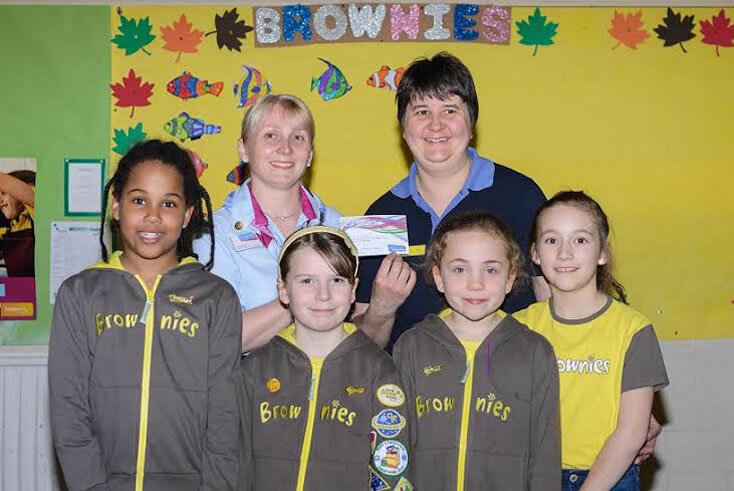 A leader from St Georges Brownies was celebrating with her girls after achieving 20 years service. Jenny Stuckey has always been a leader with this unit and thoroughly enjoys running her unit. She is pictured here at her Brownies party with sixers, Macy, Sophie, Sarah and Amber. The unit gave Jenny a card and a celebration cake.